We are partnering with Harmony New Beginnings Animal Rescue to bring two rescue horses to the Ranch. 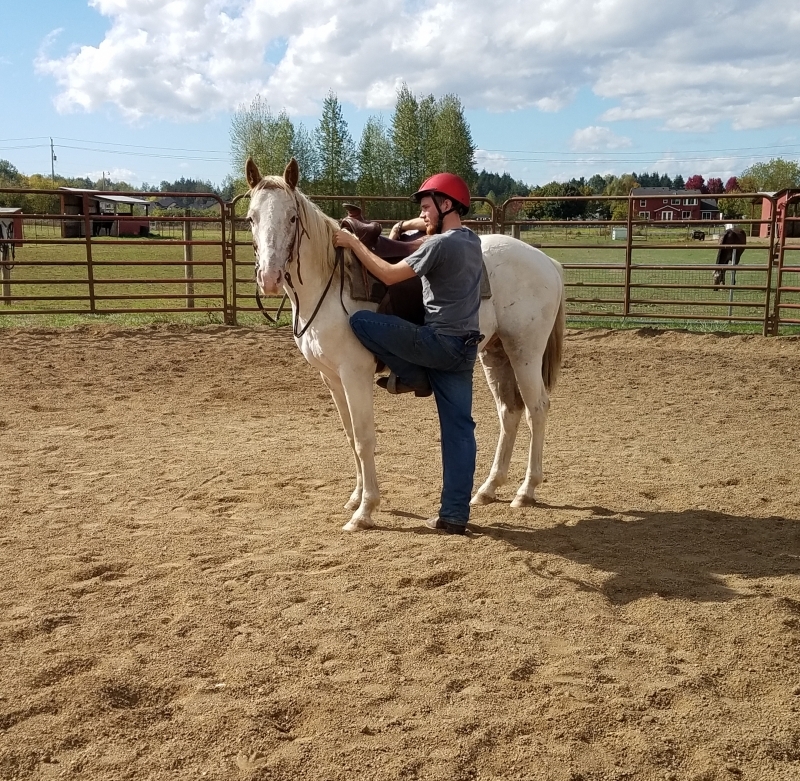 First few weeks are dedicated to our staff assessing their equine behaviors and start training for these horses who are hoping to find a “new start” with their new forever home. Next, we include our volunteers in the work with the horses. And, ultimately, we invite Ranch visitors and program attendees to interact with the horses to finalize their socialization and riding compatibility as the final step before their adoption to their new family. Travis = is a handsome but slightly timid 14 year old part draft horse who is green-broke. Though timid, he is willing to try anything you ask and is definitely a relationship horse. He works better if he feels connected to you. The training we are doing will help him build confidence to be a wonderful partner for soneone soon. Diego = is a smart and curious Pintaloosa that was surrendered to the rescue by his owner. Unfortunately this 9 year old has never had training. 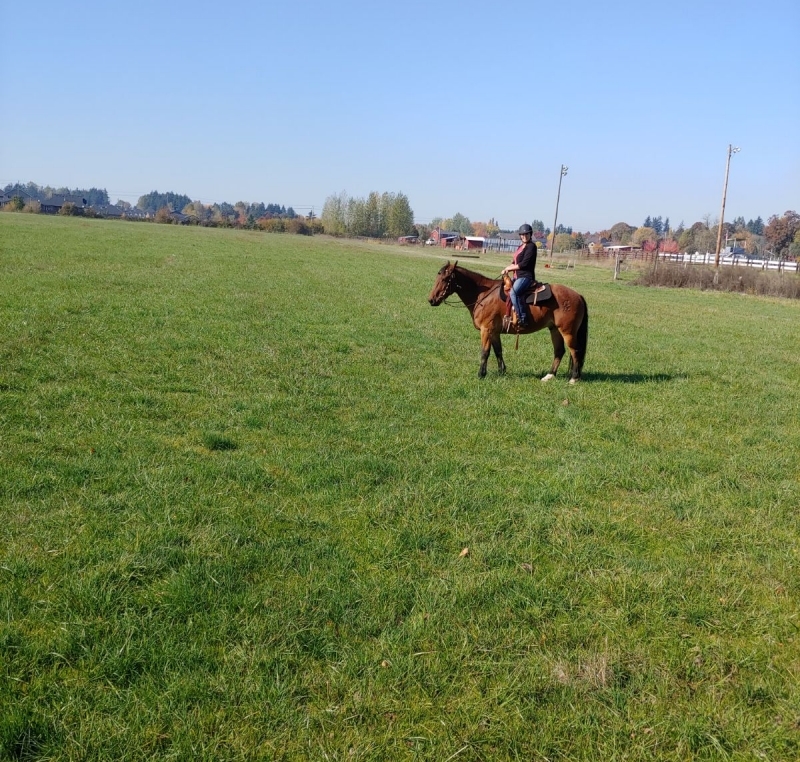 He is sweet and attentive on the ground, and just getting to understand what saddles, tack and riders mean in his life. He is level-headed and willing to try new things. He is experiencing something new and different at the Ranch: foot care. Yes, he didn’t have any foot care for most of his life so he is learning what difference that good hoof care can mean!